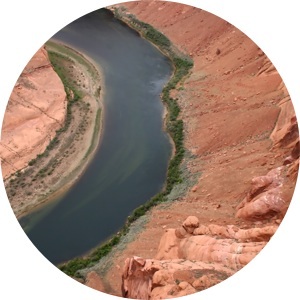 USGS, Colorado - FTS Inc.
Focus on DigiTemp – The USGS Colorado Water Science Center is devoted to data collection, applied science, and the dissemination of information. Local biologists turned to the Colorado USGS for help when they required an effective solution to create a reference network for long-term monitoring of stream temperatures and biological productivity. For the 50 stations they were operating, they needed an easy-to-install solution that was accurate and didn’t require any programming or calibration. The Colorado team queried other USGS offices and learned that FTS DigiTemp sensors were the easiest to install because they don’t require extensive calibration calculations. Several DigiTemp sensors were purchased to distribute throughout the Western United States; these units have been in place for almost three years. Quick Installation and high Accuracy: The DigiTemp sensors were very quick to install, which saved countless hours given the large number of installs. The sensors were also found to provide an unexpected level of accuracy. In one location, the engineers thought the sensor was malfunctioning, as the reported water temperatures were inordinately high. They brought the unit back to the lab for testing and learned that the probe was working perfectly; it was the stream location itself that had caused the spike in temperatures.